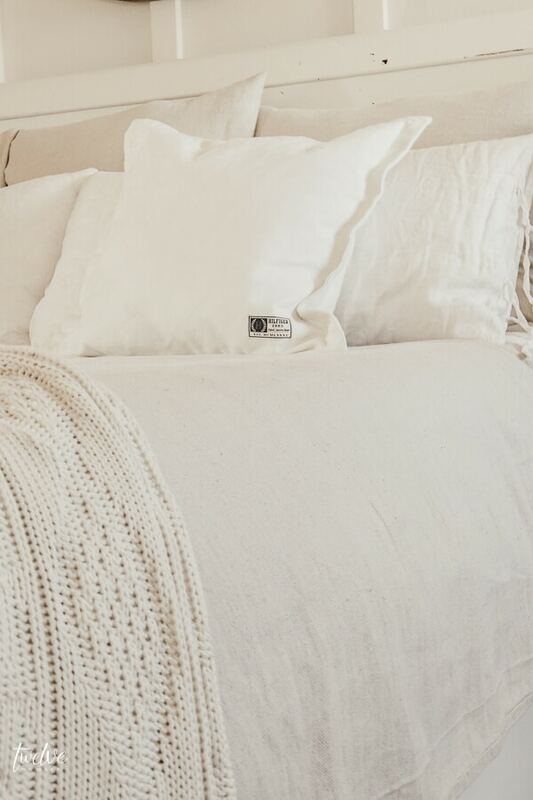 Do you love the look of linen bedding but just can’t swallow the price tag? 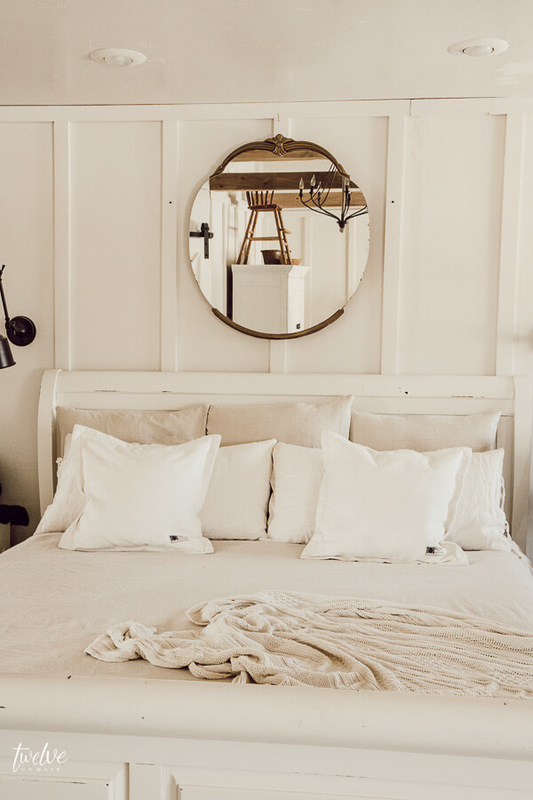 Do you yearn to have that simple bedding full of texture and style that farmhouse style bedding can offer? Well, look no further! 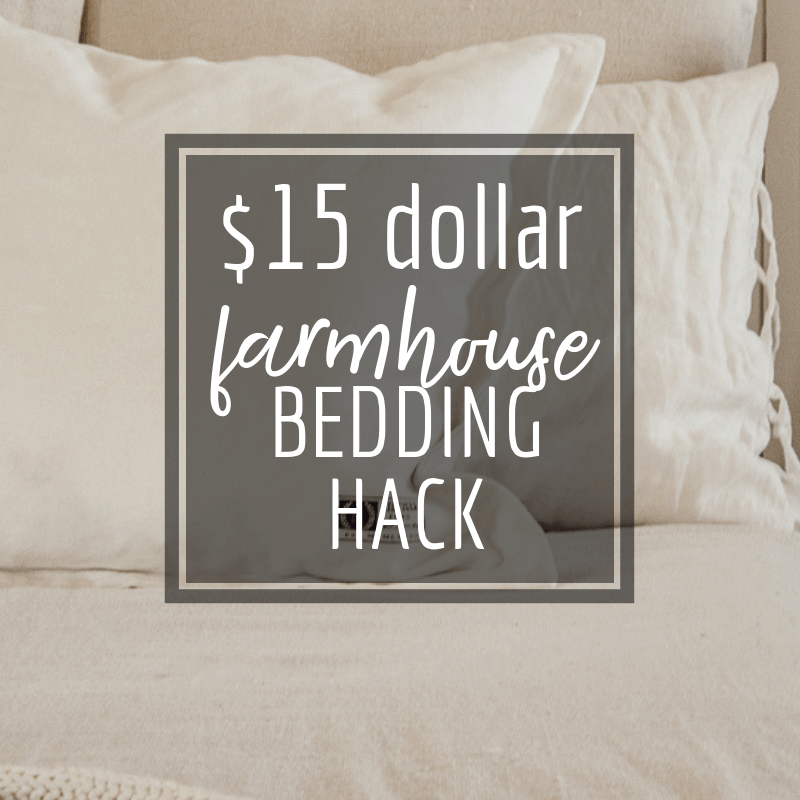 I have the insanely inexpensive farmhouse style bedding hack that you will not believe! It all happened by accident. 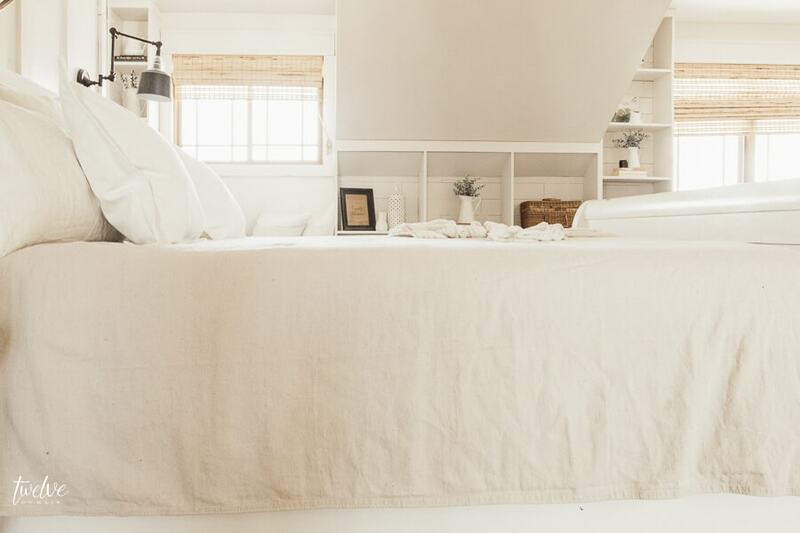 Believe me when I say, I love linen bedding. I even have white linen bedding on my bed right now….well, its under my “secret weapon”. 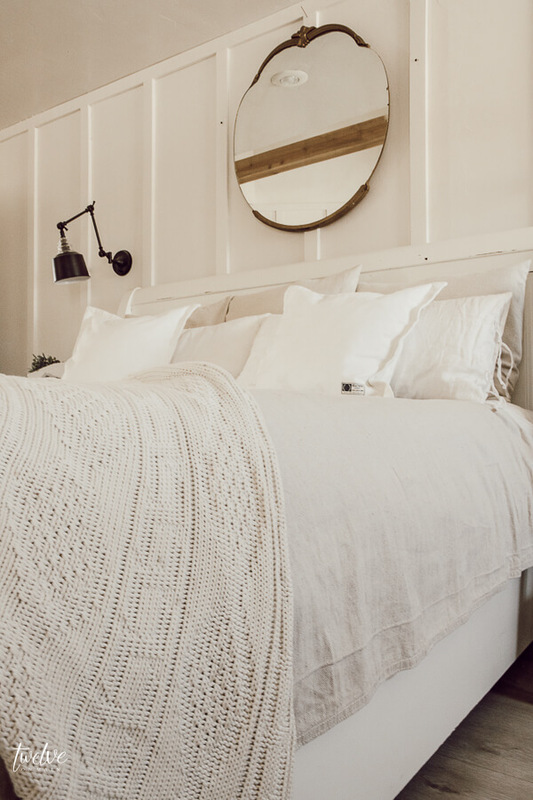 There are so many farmhouse style bedding options out there in stores today. Sometimes it can be super overwhelming to choose between them all. I find that I like that change mine up, a lot. I like to update it throughout the seasons, but I cannot in my right mind justify buying a different set every couple of months. 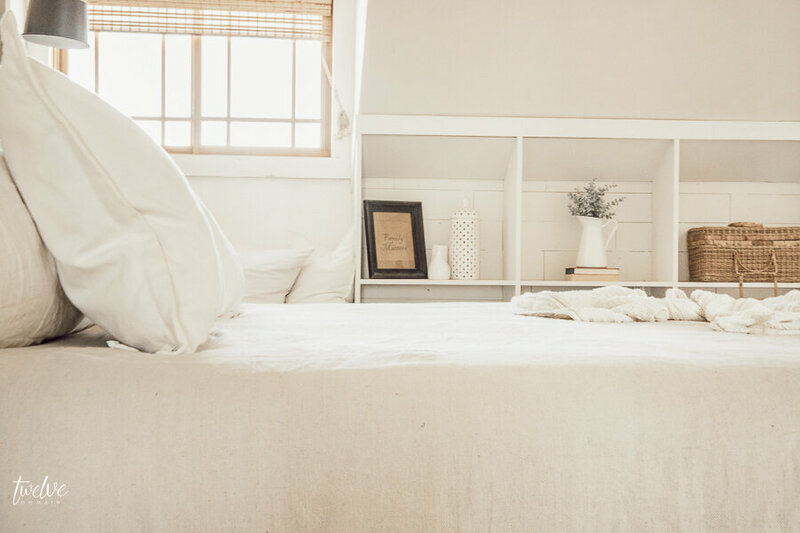 What I have resorted to instead is using a “coverlet” to add a bit of texture and color to my otherwise white bedding without breaking the bank. 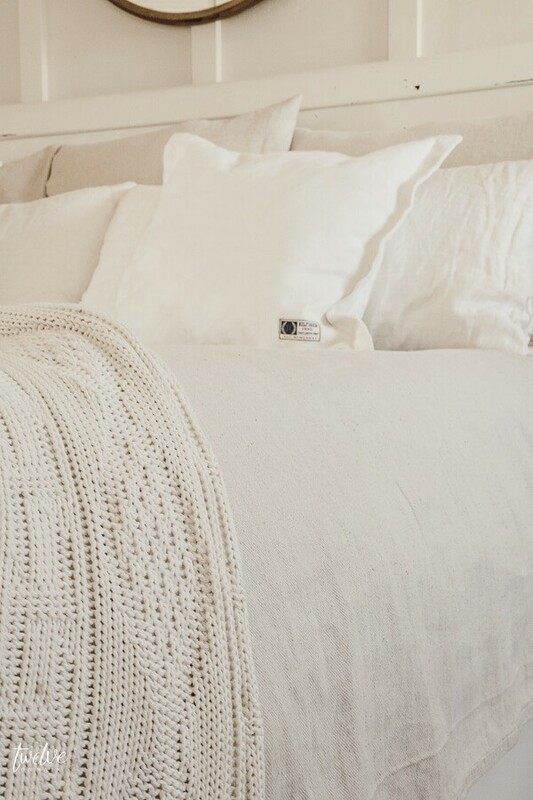 Now, when I say coverlet…I mean…..DROP CLOTH. Now, this is not your ordinary drop cloth. I found the most fantastic drop cloth at Walmart! It is so soft and way less rigid and sturdy than the throwback painters dropcloth. Those are not soft! Let me explain a bit more before you think I am crazy. When I remodeled my master bedroom, I bought some euro size pillows to go up against my headboard. 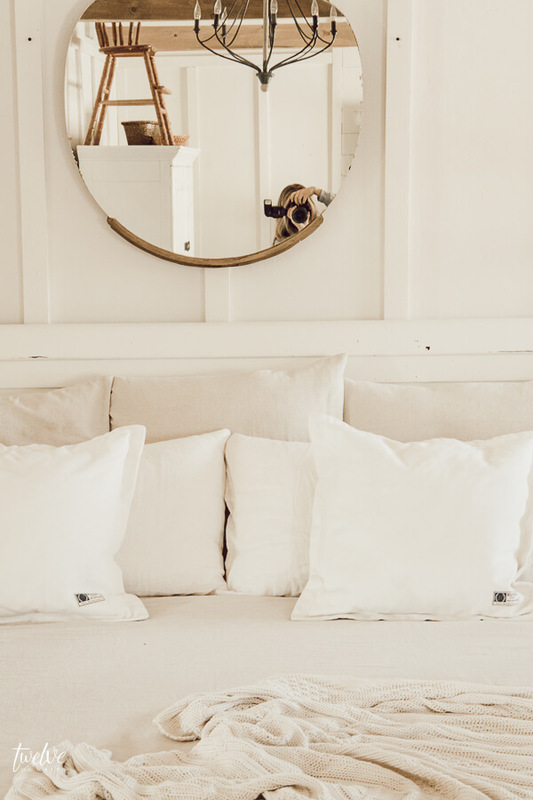 I ended up sewing 3 dropcloth pillow covers in my envelope pillow cover style for these pillows and instantly fell in love with the soft muted beige color. It was so nubby and the texture was really nice. Once again, I used this Walmart’s painters dropcloth for this project. I wasn’t too worried about whether or not they were super soft though, because I really never planned on laying or sleeping with them. They were off limits. They were to look pretty! 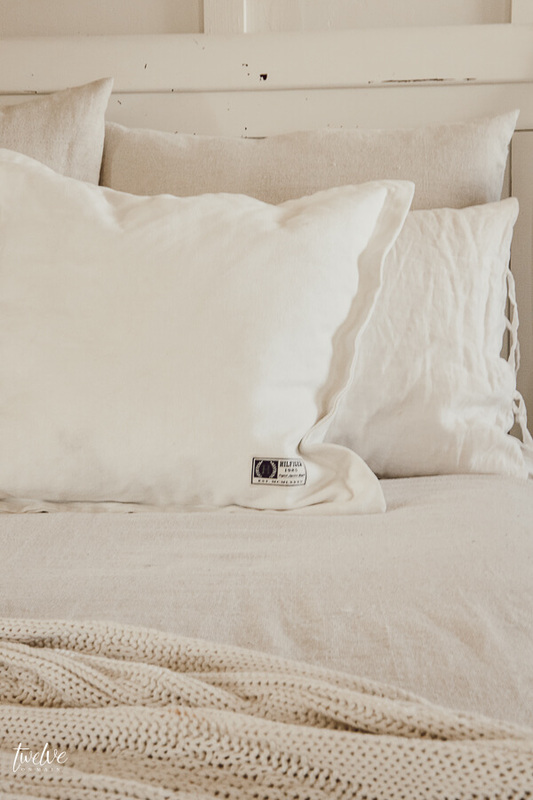 If you wonder why they were off limits, check out this post about how I have been able to keep my bed pillows looking fabulous by investing 10 dollars in them! But the great thing I found was, those pillows were actually really soft and comfortable! Now I mentioned I have white linen bedding on my bed. I really do love it, but I worry about the amount of dirt that gets on them and I also worry about someone spilling something on it. (yes I have to worry about that with 4 kids a dog and a husband). I also find that sometimes I wanted something just a bit warmer and darker, but not too dark. I had been looking online for a nice duvet cover that I could make work, but I was coming up short on things I really loved enough to spend money on that were also in my price range. That is when I remembered I had a large unused painters drop cloth sitting in my closet in my art room. I always have one on hand for projects. I thought there was no way it would work. I assumed it would have a seam down the middle or something. But guess what…it didn’t. I threw it on my bed, just to get an idea of if I would have to hem, and change anything on it. You guys, it fit perfectly. I have a California king sized bed and it right to the end of my mattress and met up right where my pillows sit. It hung down the sides of my bed the perfect length! I often have a hard time finding bedding that hangs low enough to conceal my entire mattress. This one hangs considerably lower than my linen duvet. It actually hangs exactly where I wanted my linen bedding to hang! So, now, I have a top “coverlet” that matches my drop cloth pillows. The slight wrinkly look of the fabric is very reminiscent to a linen type duvet. And, ummmm did I mention that the large drop cloth cost me only 15 dollars? Yep…don’t die of shock. 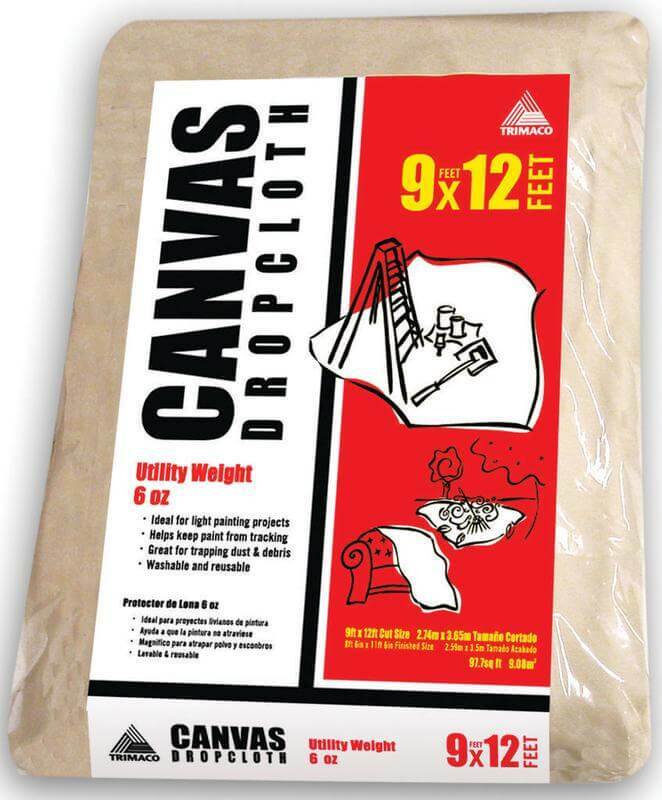 This is a 6 oz weight drop cloth. Did you know that dropcloths come in different weights? 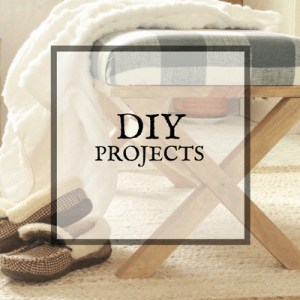 For home projects like this, you will want to use a lighter weight one. Its lightweight enough that its easily sewn if needed. If you use the heavier drop cloth, it will be thicker, more stiff, and more difficult to work with, especially in a bedding situation. Can you believe that is just a drop cloth? If you wanted to add more style to your farmhouse style bedding, you could sew on dropcloth ruffles to the bottom. I, however did not want them. I would recommend washing and drying your drop cloth to make sure it is clean. It will also help to soften the fabric a bit more too. But, even if it does have a seam down the middle you could use it for another project or you could use it anyways! I will often buy 2 or 3 of these dropcloths at a time. I buy the 9 ft by 12 ft size. 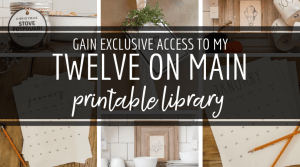 They are perfect for curtains…like I used them in my living room, or tablecloths as well! The color is so great. Its not grey, its not beige, its something all its own. I wouldn’t even call it greige! Its just so unique. As you can see, drop cloth fabric can be a wonderfully useful material for so many different home decor projects. Obviously I love using this fabric for so many items including my farmhouse style bedding hack. It protects my blanket underneath. You do not have to use this to sleep, it can be considered a coverlet that you take off at night. If you have a or cat that sleeps on your bed, this is a wonderful way to add that protection between your animal and your bedding. I love not having dog or cat hair on my bed. It immediately updates your bedding without spending much money. It is a small investment for big impact. You can easily wash this dropcloth fabric in the washer instead of washing your giant duvet or bedspread. If you tire of using it, you can repurpose it into something else…think pillows or curtains! The edges of the dropcloth are already finished, which makes it effortlessly easy to use without a sewing machine. 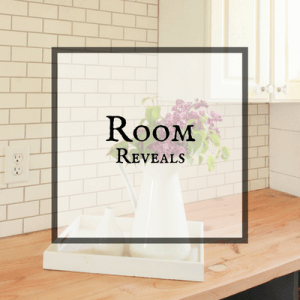 What do you think of using a dropcloth for my farmhouse style bedding hack? I have used it for the past few months and people are always commenting on my bedding and wanting to know where I got it from! Well, there you go! 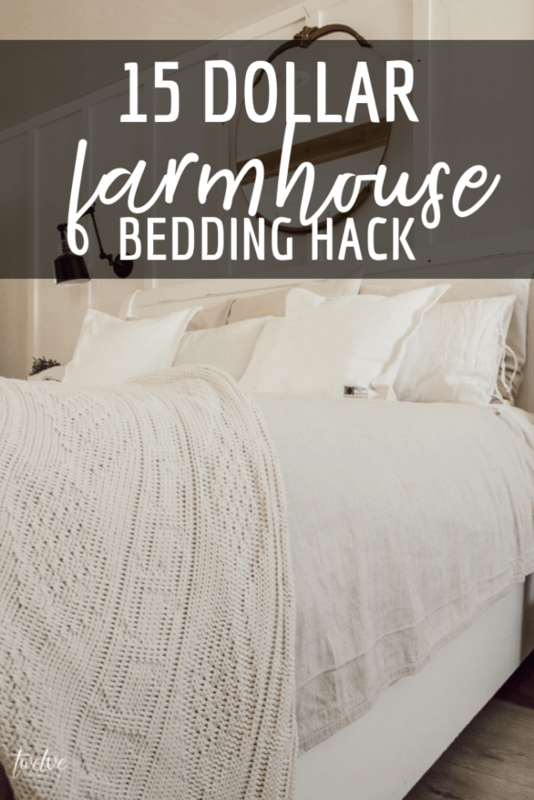 My farmhouse style bedding hack is now in the books! Yay so glad you like it! Have a great day! Looks beautiful – was going to Walmart today for Valentine stuff but definitely adding dropcloths to my basket. Thanks for sharing great hack. Great idea! I love your knit blanket at the foot of your bed! Would you share where you bought it from? Thanks! Gosh that blanket is so old I got it for my wedding! I am really not sure where it came from. Have you tried ironing? I don’t mind a few wrinkles, but those packing creases would bother me and I wonder if they’d iron out…sometimes, factory creases never wash or iron out! Love the look! Where did you get the pillowcases with the ties? Thanks! Thanks! I got them from IKEA! I have used dropcloths for curtains for my French doors, for my bedroom closet and other things in my home. I’m going to get 1 this weekend to try on my bed. They are so versatile and fun. People can’t believe it when I tell them what they are. Oh no! Thats too bad! They would make great covers for my new sofa when my granddaughters and grandson come over. 3 four year olds! Not twins nor triplets. Separates, each child had a baby in the same year!! How fun!! Brilliant and beautiful!!! I used drop cloths for my bed skirt (tacked it right to the box spring and folded it so there are ruffles). Now I need another one to throw across the bed!! What a clever idea, and I really love the look of it on your bed. I do have a cat that sleeps with me this would be a nice way to protect my bedding. Love this idea, but I do have a question. I am gathering things to redo my bedroom. 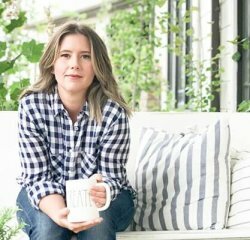 I’ve had prim for a long time and have been changing up to more farmhouse style. Love it casual and lightness of it. Ok, my walls are a soft white. Recently painted. I love the grays so I did buy some curtains in a pretty pattern of white grey and a pale aqua. My plan was a white comforter with a throw in a grey pattern and grey checked pillow and also I bought a pinstripe grey and white sheets.. Also Euro pillows in white.. I have a large shelf above bed that will be painted grey along with a sm. ?chest of drawers and table next to bed. My dresser will be painted white and aged. Do you think the curtains will give me that farmhouse or should I go with more of the dropcloth look? I have a line bed should of paint and age that also.? I’m confused. Sounds like it will be really pretty! I think adding some wood accents into your whites and greys will look amazing! The dropcloth curtains would look amazing depending on the grey color you are using. Did you need to wash and bleach it for hours like other drop cloths I’ve seen?